DelMonico Books, Prestel and the Tang Teaching Museum present Machine Project: The Platinum Collection, an encyclopedic book exploring the unique history of LA's beloved Machine Project. New essays and images capture 15 years of Machine's distinctive programming. The book features an extensive selection of images of past projects, a complete visual record of Machine Project's artist-designed print archive of over 200+ event posters, and documentation of new performance projects from the recent retrospective exhibition at the Tang by Joshua Beckman, Carmina Escobar, Asher Hartman, Chris Kallmyer, Dawn Kaspar, Krystal Krunch, Kamau Patton, Haruko Tanaka and Hana van der Kolk, among others. Free and open to the public! 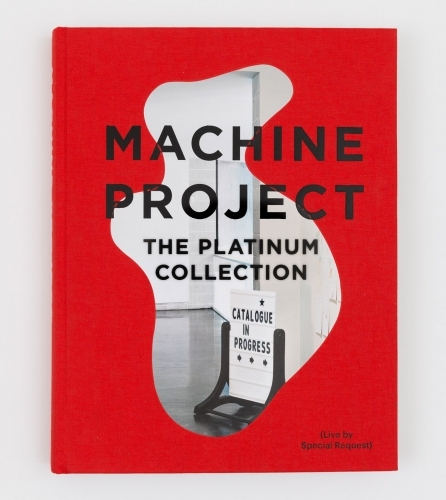 Come celebrate the launch of Machine Project: The Platinum Collection, an encyclopedic book exploring the unique history of LA's beloved Machine Project. 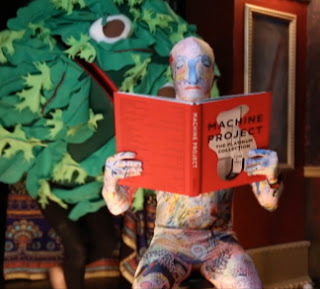 On this celebratory night, pages from the book come alive with live performances by Chris Kallmyer, Cliff Hengst, the Reader's Chorus, and not to be missed screenings of works from the Machine archive and highlights of upcoming projects. Books will by sold by Skylight Books in the lobby from 7pm and performances begin at 7:30pm. Free and open to the public! 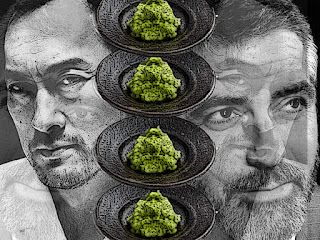 The Readers Chorus will be part of the festivities this evening and will be performing two pieces I wrote for the Chorus- Japanese George Clooney takes American Ken Watanabe to get sushi and Readers Radio Calisthenics. The Readers Chorus is organized by Sara Roberts and will be conducted by Laura Steenburge for this performance.